Shortly after dropping the remix of his Cardi B assisted 24K Magic original., "Finesse." 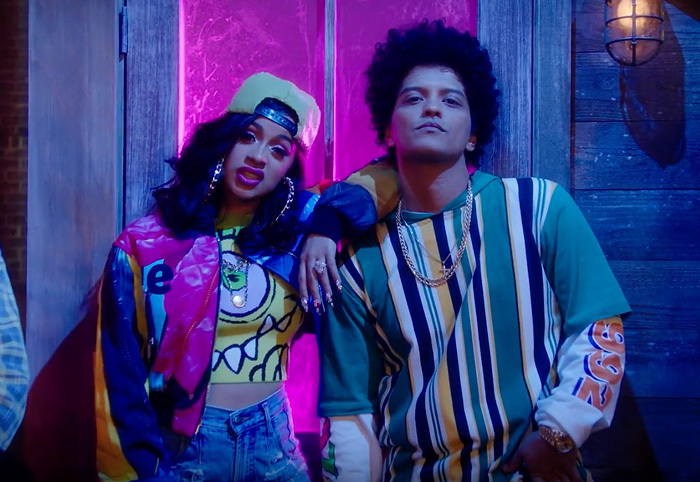 Bruno Mars reunites with the Bodak Yellow rapper to shoot a retro themed video for the buzzing track. The video which you can watch below draws its inspiration from one of Mars' greatest TV shows of all time, "In Living Color." "Finesse" video is the latest to be released in support of Bruno Mars 24k Magic album which is nominated for six Grammys. Cardi on the other hand recently made history, becoming the first rapper to have her first three billboard entries appear in the top 10 simultaneously. She's also the third artist overall to achieve this feat. The Beatles and Ashanti being the other two.